When it comes to Fast bowlers in the world of cricket, Glenn McGrath’s name easily features in everybody’s Top Ten 10 lists. But he not only excelled as a bowler whose pace was his strength but also as a man with a lot of dignity and integrity. He has undoubtedly been one of the strongest personalities at his game and also as a person. So when such a man defends enfant Virat Kohli’s aggressive nature on the field, you automatically listen. Glenn McGrath in interviews published this morning has said that in his opinion Virat Kohli, India’s Test captain and new poster boy is ideal to lead the side against all odds. He is all praise for Virat’s aggressive nature on and off the field so long as it does not hamper his ability to score. The key to captaining is maintain momentum according to McGrath who during his own stint as a player has amassed 563 wickets in 124 Test matches and 381 scalps in 250 One-Day-Internationals was in India to take on a new job. Glenn McGrath is the new coaching director of the M.R.F pace academy in Chennai. He has been known as the coaching director as he is a powerhouse of knowledge and skills blended into one. Fellow Aussie Fast bowler Dennis Lillie had served there before him. 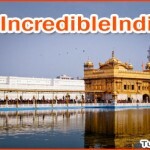 He is proud of the new crop of pacers in the Indian side. Varun Aaron, according to him, has a bright future as a pacer. On leadership qualities McGrath’s take is that of a wizened old warrior. He sees a leader as someone who has the courage to follow his mind and instinct while keeping his own performance in check. One of his greatest personal beliefs is that skill can take you only so far whereas attitude takes you rest of the way. This line of thought is perhaps common between Glenn McGrath and Virat Kohli as both have proved on more than one occasion their capacity to win matches through sheer tenacity and attitude in the face of insurmountable odds. Having a good check on your skill level and maintaining a basic regimen to supplement at is the key to playing good throughout the cricketing season. The former fast bowler is in awe of the way things are progressing in the world of cricket with a new range of shots being played nowadays in all the different formats of the game. Cricket has become freer and less stringent about what it expects from its players. The players in turn must give their hundred percent and play for their teams at an optimum level he says. In Virat, McGrath sees a great future for the Indian side as according to him Virat has the ability to back his attitude with runs. He is a class player as well says the former pace bowler. Whether or not Virat really has it in him only time will tell. 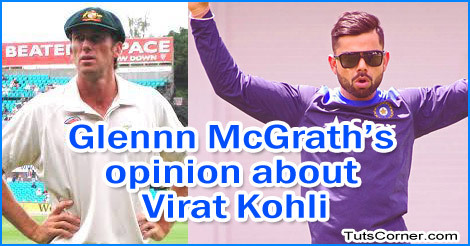 But till then we are pretty content with McGrath’s assessment of the angry young boy of Indian Cricket.